One of the diet is very important and needed by our body is fiber. Fiber is useful for digestion. Fiber for human health benefits include lowering cholesterol, lowering fat, and toxins found in the body and also prevent the occurrence of colon cancer. Vegetables and fruits contain very high as well. So how fruits and vegetables that are rich in fiber? Below this will be served food fiber for the digestive track. May be beneficial to you and begin to consume fiber in your body. 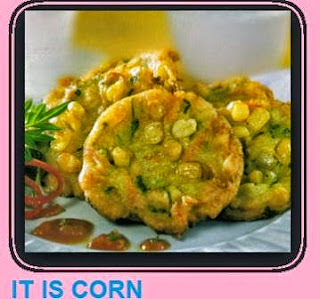 Corn is an energy source as well as rice. Contains a lot of carbohydrates and rich in fiber. The content of corn is very rich in vitamins and antioxidants that are good and useful to prevent free radicals and repair damaged body cells. Corn is very good to be the diet for you who want to lose weight. Besides white soy fiber is also a source of protein, iron, and potassium. The benefit is effective in lowering high blood pressure. By eating tempeh or tofu and other soybean processing needs are met you will as well. This food is rarely consumed and sold directly. Black soy sauce is the basic ingredient makers. In the black soybeans contained more nutrients than white soy. His compositions contained 15 grams per cup soy serar black. It is also rich in protein, which is a powerful antioxidant flavonid whose function is to protect from the effects of free radicals. Kidney beans are very healthy. Especially if you're a diet program to lose weight. Not only fibrous, red beans can also be used as a substitute for rice, because it is rich in protein and iron. Kidney beans can be processed to be made soups, porridge, or mixed on ice fruit. Avocados are rich in folic acid which contain healthy fats and can take care of your heart. Avocado is rich in fiber even seem soft in the mouth and effective for you who are undergoing a diet program. Avocados are very good for lowering blood cholesterol and can reduce the risk of cardiovascular disease. Brown rice is rich in nutrients than regular white rice we consume. High fiber content is very good for your digestion. Brown rice is also very suitable for those who are dieting. By eating brown rice, it will avoid the risk of diabetes because of sugar content in brown rice than white rice less. Edamame is a large green soybeans. It was crispy. In edamame are fiber and high in protein and iron as any ordinary soybeans. Just boiled and eaten directly you get will need fiber in your body. So some food fiber for digestive track can you consume every day. In addition to fulfilling the need for fiber, food above can also reduce fatty foods and very important to take care of your digestive health. 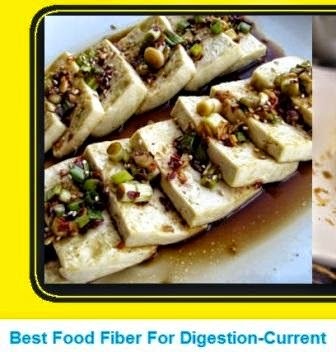 0 Response to "Best Food Fiber For Digestion-Current"